* The best victory defeats no one. * Right now is the time to focus one’s mind in doing the best one can, in a self-responsible and planned way. * One-pointedness allows one’s mind to have wide horizons. A dispersive consciousness is narrow. Self-respect creates stability: you need a firm basis in order to observe the sky. * A heartfelt courtesy for all beings contains in itself the substance of universal brotherhood. * The learned ones say: if our goals are correct, the purpose of obstacles is to strengthen our will, stimulate our discernment and expand the ability to avoid unnecessary waste of energy. * The accumulation of good karma must be made in no hurry. A feeling of anxiety would contaminate the substance of the karma accumulated. High goals ought to be distant: short term relief will come of its own as the right time for it emerges. * With each new step ahead, the need for vigilance increases. Progress can make the possibilities of self-delusion expand, unless it is seen with humbleness and detachment. * Renunciation is a source of peace. Self-discipline prepares victory. Responsible self-forgetfulness produces the blessing of a wider contact with one’s spiritual soul. * Ill-informed are those who deny the past in order to live in the “Now”. There is no separation between Yesterday and Today. Eternity lives in the present instant. Across the ages, happiness is always new. * The most decisive task in the search for wisdom is to learn how to learn. That begins by observing and questioning the actual way we learn. Are we believers, or researchers? Churches and sects want believers. 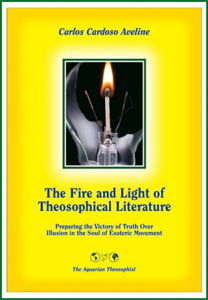 The theosophical movement needs researchers. * Some ideas seem to be obvious but are easy to forget and require an iron will to be put in practice. One of them is that self-respect is inseparable from a feeling of good will towards all beings. Such a good will must be accompanied by severe discernment and realism. * Our good habits protect us. On the other hand, repetitive mistakes are threats which often remain invisible. They must be identified and carefully replaced by correct actions. For that, detachment will be necessary. * The Law of the Universe can be found within oneself. Theosophy is divine wisdom, and the only way to attain it is by expanding the contact with one’s higher self or spiritual soul. * In order to achieve self-forgetfulness one must understand the movements of the entire world of selfishness and see their meaninglessness, and get tired of them, and focus one’s heart and mind in that which is eternal. * One cannot say “Yes” to truth, unless one says “No” to falsehood. 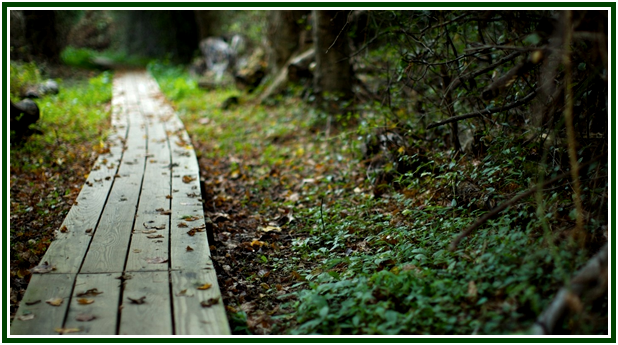 The voice of conscience tells the pilgrim which is the correct path, and what path should be abandoned. * By awakening from the short-term dreams and narrow horizons of the lower self, we can see reality from a higher perspective. After doing that, things change. As one looks again at the agenda of the lower self, one recognizes it as a valuable tool in a vast mission whose horizons are virtually unlimited. * Use your discernment. Observe and learn from the annoying factors of life, but don’t give them the time and energy they don’t deserve. The doors to a better life are inner. Focus your mind and heart in that which is good, true and beautiful. Build whatever you want to see being built: the bliss of life is within you. * A correct approach to the many-sided pedagogical processes in theosophy prevents both experienced and unexperienced students from falling into personal pride. That which one can learn must be recognized as much more important than that which one may feel he knows already. Being in direct touch with Sacredness is inseparable from feeling humble. Students who desire to Learn about the Universe have no time to pride or envy. * Inter-religious conflict and intercultural disharmony are at the very heart of the problems humanity must solve in the next years and decades. This must be done by looking at mistakes in a direct way and correcting them. The original teachings of esoteric philosophy have the key to such a task. Their fake versions are, of course, worse than useless. * There is a time to go ahead and a time to wait. There is a time to obtain things and another one to practice renunciation. In some occasions, one must remain in motionless vigilance. The warrior of truth lives in contact with the silence in his heart and is ready to various situations. He can work in movement and he can rest. Stability and change are both comfortable to him. He is a brother to lightning and to bliss. He is an intimate companion to that which is visible, and never separates from the unfathomable. * The Book of Life is in fact the Book of Learning. In the beginning of the day your lower self is being reborn and stands like a blank page. Don’t abandon it: give it a direction. * In the very first lines of every new page at the Book of Life, firmly write down your decision to keep along the day a self-responsible attitude; a reasonable degree of self-control, and a friendship for all beings. * Noisy outward situations are paradoxically propitious to retire within oneself. The inner vision of an awakened human being includes the whole cosmos, and real bliss does not depend on geographical location. * Cacophonous surroundings are a perfect occasion for one to search for the essence of being, by listening to the music of silence. Such is the right time to meet that inner peace that contains the mystery of eternal time. * Each level of knowledge is inseparable from its corresponding degree of duty and ethics. * The knowledge that is not used to do good and to remove the causes of pain is no real knowledge. So to look for truth is to look for duty. One attains to a real knowledge of truth and fulfils his highest duties at the same time and little by little, for knowledge and duty ultimately grow together and never part from each other. * What I think must be in harmony with what I say, and with what I feel, and do. * My thoughts, actions, emotions and intentions must point to the same direction, although such an alignment will be certainly human and imperfect. I can always improve. * I must be tolerant with the others and have for them the same good will which I would like them to have towards me. This sentence is reproduced from the article “Helena Blavatsky’s Self-Criticism”, by Carlos Cardoso Aveline, which is available at our websites. An initial version of the above fragments was published anonymously in the February 2015 edition of “The Aquarian Theosophist”.